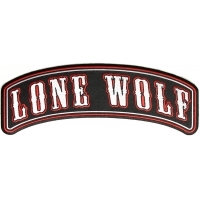 These embroidered rocker patches are designed to fill up the top or bottom back of your vest, jackets, or denim. 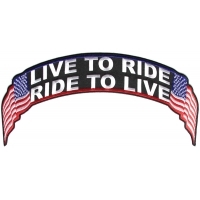 Usually you have a large top rocker and a bottom rocker around a centerpiece patch. 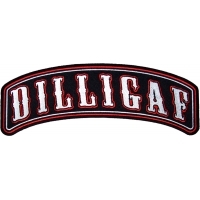 You iron on & sew on patches. 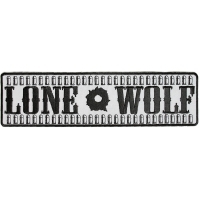 We have state rocker patches, year rocker patches, city rocker patches, even large military rocker patches. 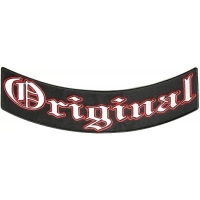 Get custom rockers for your club by requesting a custom rocker patch quote. 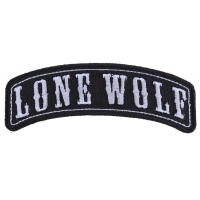 We make custom patches with 20 piece minimums per design. 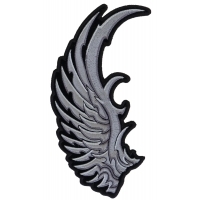 You can also find some small shoulder rockers here. 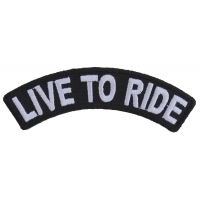 Many bikers love to adorn their favorite biking gear with a range of stylish embroidered biker patches. There are hundreds of fantastic patches available at TheCheapplace.com which have been made from top quality materials in stunning designs. 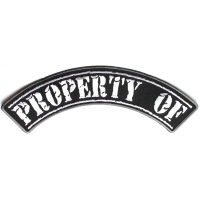 Rocker patches are usually placed at the top or bottom of a jacket or vest and look great either on their own or when combined with other stylish patches. 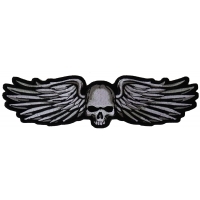 The Cheapplace.com has many fantastic rocker patches to choose from which will look simply superb when applied to any bikers clothing. 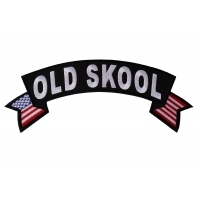 For example there are a number of stunning military inspired top rocker patches which will look fantastic either on their own or when combined with some of the other military patches available on this website. 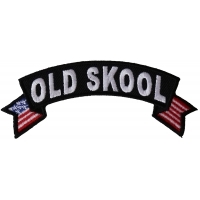 The 'US Army Rocker' patch is a simple, classic designed rocker patch. 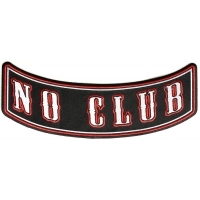 The black background shows off the beautiful golden thread to perfection. 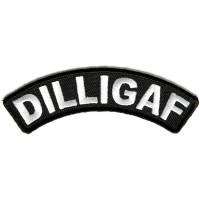 The lettering on this patch has been surrounded by an understated yet effective emerald colored thread which brings out the gold of the letters. 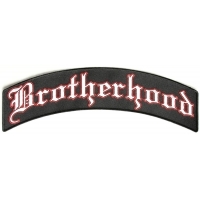 This patch looks stunning when set against a dark back drop such as a black or dark brown leather jacket or vest. 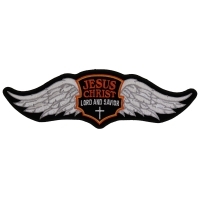 Have a look on the website to get an idea of how great this rocker patch will look on your clothes. 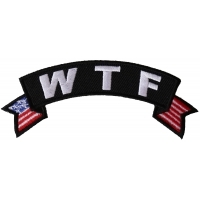 There are similar styles with alternative wording available too including the 'Iraqi Freedom Vet Rocker' patch, the 'Desert Storm Vet Rocker' patch, and the 'Gulf War Vet Rocker' patch. 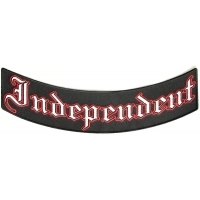 Alternative rocker patches available include ones which are dedicated to those in the public services such as the police and the fire-fighters. 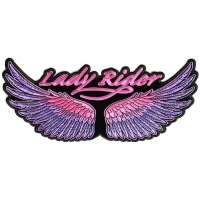 The 'Police Rocker' patch is bright and colorful. 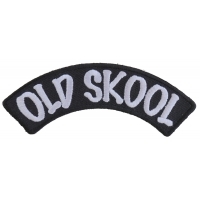 Similar to the military rocker patches in that it has a black background but the lettering on this patch is bright yellow surrounded by an electric blue border. 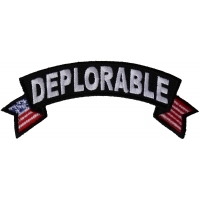 This patch will look fantastic and will be sure to stand out. 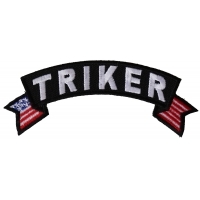 The 'Firefighter Rocker' patch has been aptly designed in colors of bright red and yellow and again will ensure that you stand out from the crowd! 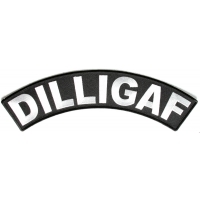 There is also a range of rocker patches with flags. These patches are similar to banners with the ends of them tipped with various flags. 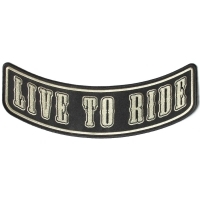 For example the 'Rebel Rider Rocker Patch' shows a black banner with rebel flags at the tips. 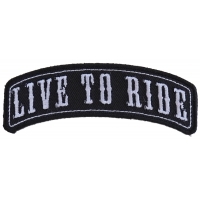 The words 'Rebel Rider' in bright white thread stands out perfectly against the dark background. 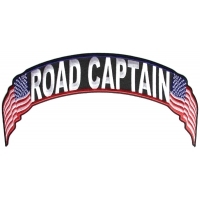 Other rocker patches with flags are of a similar style but which have the American flag at the tips instead of the rebel flag. 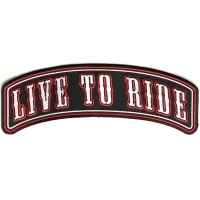 And some of these patches can come with a choice of American flag or Rebel flag such as the 'Ride to Live Rocker Patch'. 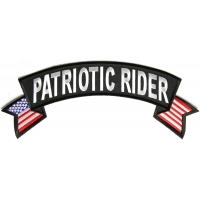 If you want a rocker patch with pure style that looks expensive then the 'Sniper Patch' and 'Ranger Patch' are great choices. 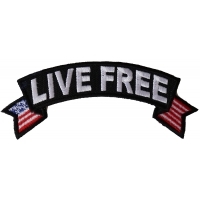 These patches have been made using gold effect thread which will glint like real gold in the sunlight. 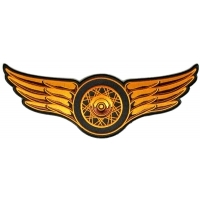 The thick golden borders give them a rich look and will ensure they make heads turn. 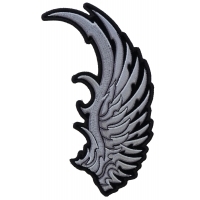 Check out TheCheapplace.com for a range of fabulous rocker patches. 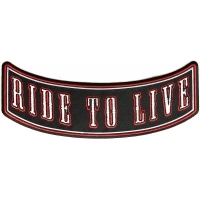 Rocker patches are a great addition to any bikers riding gear and as mentioned before, they can be applied on their own or with some of the other fantastic biker patches you will find at TheCheapplace.com.